Handguns may not be the best choice of weapons for personal defense; however, they may be the only choice available at the time of a violent confrontation. Handguns are small enough to conceal and as such, one should possess the skills to effectively defend themselves and loved ones if needed. 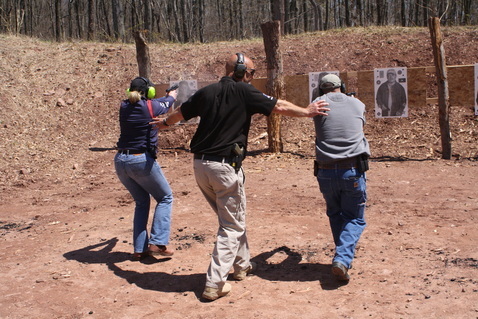 All handgun courses cover in depth safety and handling, cleaning & care, administrative and action loading, malfunctions and clearing, grip, drawing tactics, multiple threats, cover and concealment, stress inoculation, & situational awareness. Effective speed shooting is also covered. Each course builds on the other. The complexity of the techniques and level of detail increases with experience. We now offer five levels of Defensive Carry! After successful completion of any of the Defensive Carry courses, students will be better prepared and more confident to defend themselves and their families if needed. 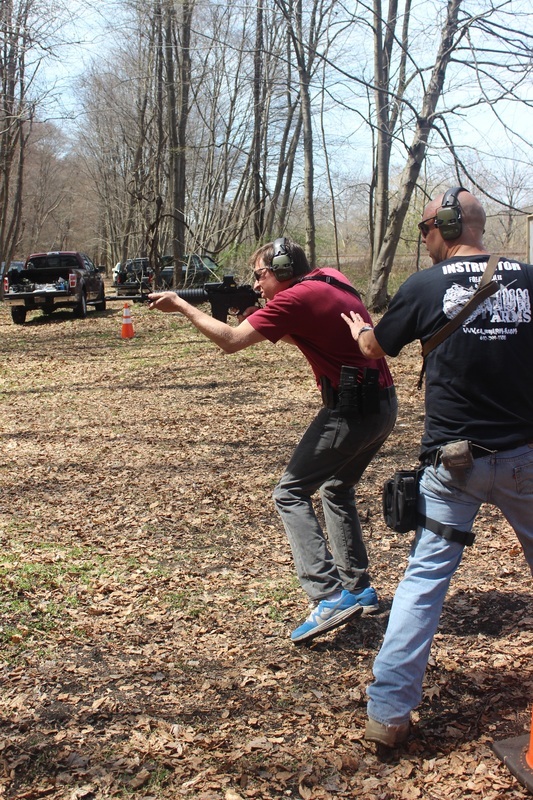 Shooting with movement, manipulation skills, cover & concealment, and communication are covered in varying depths dependent upon the class’s skill level. Semi-auto pistols or revolvers are equally welcome in our classes. Upon successful completion of this course, the student will be eligible for the Florida Out of State Carry Permit. This course provides the student with basic skills and the mindset required to confidently operate a handgun in a violent situation. Defensive Carry I is geared toward the student with little or no experience operating a handgun; both open and concealed carry from outside the waistband. The class starts with a lively classroom session followed by active drills on the range. 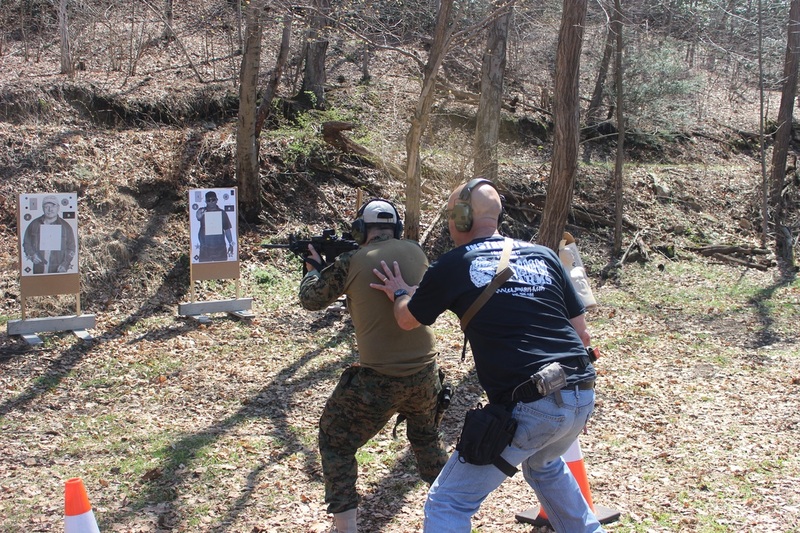 We will shoot using proper shot placement on the threat, introduce fighting magazine reloads and tactical reloads. We will shoot multiple targets practicing muzzle discipline and trigger reset. We will also introduce movement while shooting. Topics: Use of Force, Grip, Stance, Draw, Reset and Shot Placement. Basic Familiarity with your chosen handgun. NRA First Steps or Basic Pistol or equivalent is helpful. Prequisite: Defensive Carry I or equal. A 4 hour course that provides advanced skills to the veteran student. 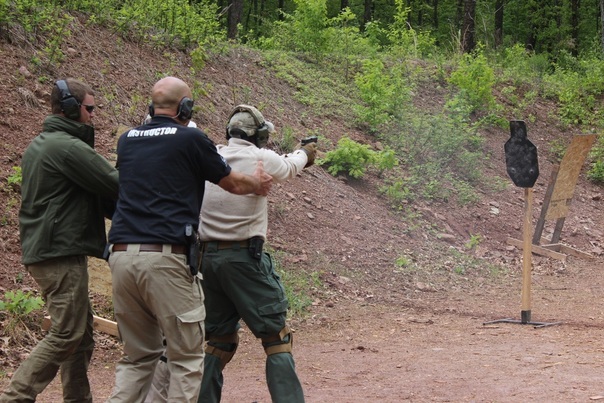 The class starts with an in-depth classroom session followed by tactical drills on the range. Topics: Reinforcement of the Foundation, Complex Movement, Elevation Changes While Fighting, Use of Cover and Concealment, and Advanced Stress Inoculation. An advanced 4 hour session for students that have successfully completed level 1 and level 2 or 3 Defensive Carry Classes. The class will place heavy emphasis on accountability for every bullet. We build on skills learned so far in our classes and add to them. Multiple Steel targets will be utilized as well as 3D torsos. Topics: Reinforcement of the Foundation, Complex Movement, Elevation Changes While Fighting, Use of Cover and Concealment, and Advanced Stress Inoculation. You’ve done everything possible to avoid a conflict but now you are in a life and death altercation. We will teach you how to not only survive, but to win and thrive. The class will place heavy emphasis on your accountability and the mindset and movement required to increase your odds of success. We build on skills learned in our classes and layer realistic stress induced scenarios. Reactive steel targets, 3D torsos, and paper targets will be utilized. A unique and challenge course for the advanced student. Prerequisites: Defensive Carry 1, 2 and/or 3, AND Level 4 and/or 5. Three to four hour course. 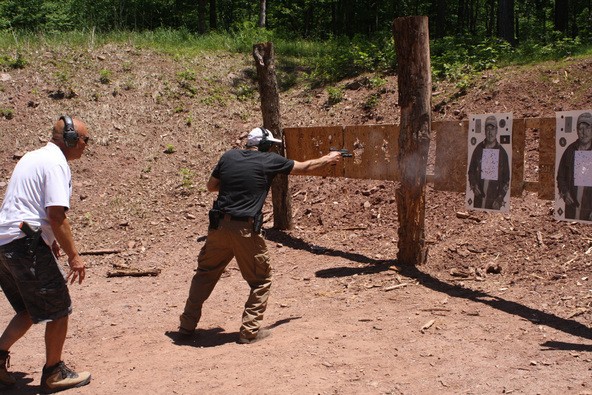 This course will challenge you with drills and scenarios using primarily steel targets. You will have the opportunity to run at least SIX different sidearms while being timed from the draw. Getting the gun into the drill from an unloaded condition and from the draw.The guns will be a variety of sizes, actions, and manual of arms, including a revolver. You will then have the opportunity to run the course of fire once with your own sidearm while being timed. You will then run the course with an unfamiliar sidearm. 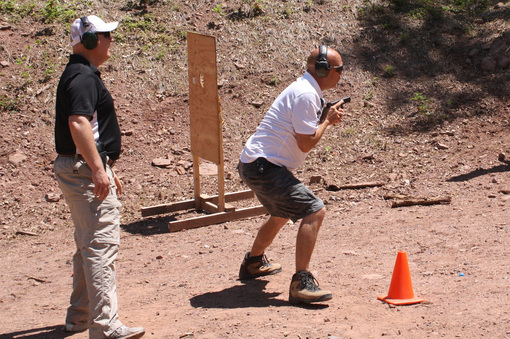 Mastery of pistol craft must include running any sidearm in a proficient manner. The use of the guns is included in the tuition. Students are responsible to provide ammunition. Enrollment is capped at eight students for this course. • A safe and serviceable handgun (pistol or revolvers). • ANSI eye protection, and digital ear protection. (Digital ear protection is REQUIRED to ensure all direction and commands are heard and understood) Digital Ears are available for purchase the day of class. Be sure to ask for them at time of registration. We have several models and price points. • A quality holster, belt, and 2 magazine carriers mounted on belt. • 3 to 5 magazines or speed loaders. • Hat, neck scarf, bug spray, rain gear and bags to carry your gear. Wear clothing for seasonal weather in a mountain climate in order to stay comfortable. • A “sacrificial” T-shirt is required for each class. You will have the opportunity to perforate this shirt during class when we “dress” your target with it! Knee and elbow protection is a good idea, but not mandatory. For Low Light: Tactical flashlight and spare batteries. A weapon-mounted light is allowed, but a handheld is still required. A sidearm, quality holster, belt, and 2 magazine carriers mounted on belt. A minimum of 3 speed loaders or magazines. Serpa Holsters are not permitted in class. No magnum calibers. Students are required to have ANSI eye protection, and ear protection. Digital ear protection is REQUIRED to ensure all direction and commands are heard and understood. Cleaning and clearing kit and Field repair parts are always helpful. Carrying a gun for self defense is a sound concept to protect yourself and your loved ones from a violent encounter. In today’s society however, you may not always have your gun with you or on you. You may also be in a situation where you cannot use it or get to it. It is vital to know and understand how to defend yourself in such a situation as part of your self-defense plan. We keep the lessons simple and repeatable. Just as a gun can be the “great equalizer” in a fight, the techniques you learn will also tip the odds in your favor during a violent confrontation to either get away or deploy your own sidearm. Unlike many martial systems that “require” years of training and rely on speed, power, and a high level of fitness, we teach you how to use your body’s natural motion to create motor dysfunction of your attacker. These techniques work regardless of your age, size, or fitness level. 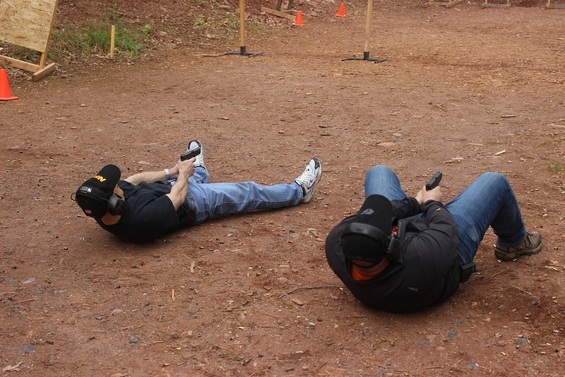 To round out this 4-hour class, we will also cover the foundation of sidearm deployment to ensure all students can effectively draw from the hip with proper technique, grip, stance, and trigger control using instructor provided SIRT laser training pistols.